PR professionals must prepare ourselves to make a more visual communication, to gauge the opportunities and risks that arise from the use of social robots in the processes of interaction with stakeholders subjected to the tensions that provoke the cultural transformation movements and be more willing to external evaluation and benchmarking. 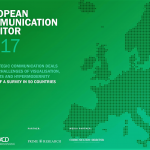 This is the view of the new edition of the Euromonitor (ECM 2017) by the European Association of Communication Directors (EACD) and the European Public Relations Education and Research Association (EUPRERA). 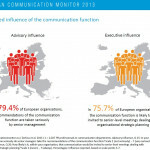 The results of the Euromonitor 2017 are based on the responses of 3,387 communication professionals in 50 countries, of which 67% are Chief Communication Officers (CCO) and senior executives of public relations agencies, 41.8 years old on average and 59.6% women, who, by the way, continue to earn less than men in the same position. This year’s edition has been titled “How strategic communication deals with the challenges of visualization, social bots and hypermodernity“. Ansgar Zerfass, professor at the University of Leipzig, has led the research, which has included the Spanish Ángeles Moreno, professor at the Rey Juan Carlos University in Madrid. We live in a visual society. This statement links with the principle of neuroscience that demonstrates that the human brain processes images much faster than words. In addition, the brain always seeks the lowest energy consumption, thus it prefers to decode and manage images. Short and audiovisual formats triumph in social networks (Facebook, Twitter, Instagram …). The communicators are very aware of the preponderance of the image, to the point that 94.6% of the respondents consider that the visual elements will be increasingly important for the strategic management of communication. This demand, led by online video and infographics, forces us to train ourselves in new audiovisual techniques, closely intertwined with technological developments. The second great insight of Euromonitor refers to the use of social robots in strategic communication. It is understood by social robot that interacts and communicates with people (in a simple and pleasant way) following behaviors, patterns and social norms. An example of a social robot is Amelia, the digital avatar of IpSoft, one of the most well-known faces of artificial intelligence. Eighty-five percent of respondents confess that they are not using social robots, for example to manage responses in their networks, and only a small percentage plan to explore their advantages in the coming months. Here is a new front open in the training needs of communication professionals. In the territory of the strategy, the Euromonitor points out that the priorities of CCO in 2020 will be to confront digital evolution and the social web, to establish closer links between communication and operations and to deal with the speed and volume of information flows. It is curious that “build and maintain trust” appears in the fifth position, although with a similar weight to the three issues mentioned above. Communication managers believe they have an important contribution to business success (86.8% of respondents). This contribution is made by supporting other departments through communication activities, through the daily management of their own team and function, the transmission of strategic messages to stakeholders and coaching and training to the top executives to communicate better. In the chapter on channels, media relations management remains in third place, with a significant weight (82.4%) and very close to the first two: social networks and on-line channels (web, email, intranet, etc.). The study itself points out that the position of the print media is stronger than expected, which explains why in many countries they are still the recipient of the biggest piece of the advertising pie, in a paradoxical divorce between traffic and influence. Another curious fact is that in the age of digitization face-to-face communication is still considered important by 78.7% of the professionals surveyed. At this point it is not paradoxical that virtual promiscuity provides value to face-to-face relationships, where emotions are more visible and body language facilitates communication. We are moving from postmodernity (Zigmunt Bauman thought there is no such concept, but “liquid modernity“) to hypermodernity, a time featured by the growth of a consumption mindset in all areas of society. According to the research, the features of a hypermodern society are the management of change as a great source of competitiveness, technological decentralization, agility in the management of human resources, creativity at work and ethics as a perceived responsibility. Communicators are witnesses to this cultural transformation that impacts on the behavior of all stakeholders. 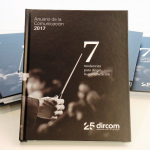 Call to creativity, closely linked to innovation processes, is a constant in all studies on the role of dircom. 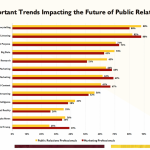 Recently, the Global Communications Report, developed by the Center for Public Relations Annenberg of the University of Southern California and The Holmes Report, in collaboration with the Global Alliance for Public Relations and Communication Management, pointed out that the growth of the communication business (not including advertising investment) will demand greater doses of curiosity, creativity and critical thinking. These attitudes related to knowledge point to a greater demand in the territory of the strategy. 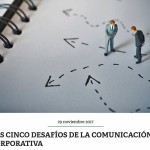 In fact, the communication professionals consulted in the research expect a greater strategic contribution from the agencies, as well as more creativity and measurement systems that are more in line with the objectives of their organizations. On several occasions I have stated that the CCO is like a social psychologist, who must observe and gauge the impact of social trends on corporate positioning and in the operations of his organization. 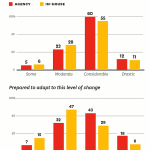 The Euromonitor reinforces this perception, which pushes organizations to participate more actively in public debates on those issues that the consumer/citizen considers relevant. The communicator has to look for answers to the questions society is asking about its main challenges: social, environmental and technological. In summary, the Euromonitor 2017 reveals a more complex and demanding professional landscape for PR professionals, plagued by technological and ethical challenges. The communicator has to be able to adapt to a VUCA environment in turbulent times.